Longer days and warmer weather are just around the corner! And it’s high time we set forth on our own spring migration. Here are our top 10 enticing Easter getaways from our extensive Kids Collection of nearly 900 hotels, villas, apartments and B&Bs, as chosen by Editor Nadine. Safe travels! 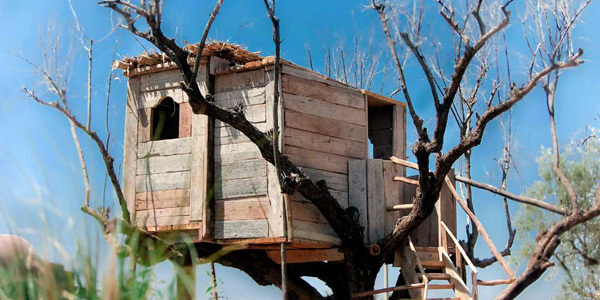 This spoiling country hotel is a magical treat for parents and children alike. There’s a heated indoor pool, and an excellent Playzone with activities for children up to 16 (including crafts, cookery and cinema screenings). The Mez is an emporium of entertainment (Wii, PlayStations), plus there are 220 acres of grounds to explore. There is a pub-style inn as well as a candlelit conservatory for grown-up meals (staff can arrange babysitting, and baby monitors are provided in all family rooms and suites). There’s a packed programme of activities on offer over Easter including a bonnet making session, nature walk, egg hunt, Easter Nest and biscuits, photo hunt, den building, giant games and nature quiz. 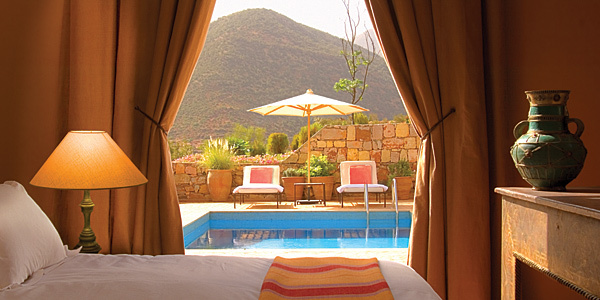 You’ll be blown away by the breathtaking mountain vistas which surround this hilltop kasbah. And you’ll be left struggling for superlatives after sampling its many charms, which include superb cuisine, heavenly rooms and gorgeous landscaped gardens. Usually an adults-only retreat, it warmly welcomes families during school holidays, and the Kasbah Kids programme offers enchantments such Moroccan cookery lessons, treasure hunts and tea parties, and resident mules, camels and donkeys to befriend. There’s a choice of swimming pools, and children stay for free. Book a stay of 5 nights or more at these charming mountain cottages for 2-6 before 31 March and you’ll get a 15% discount on the already-reasonable rates, including over the Easter holidays. 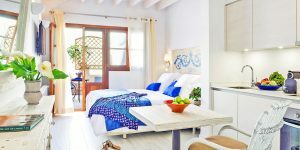 You get cool and cosy interiors, private terraces, a lovely pool, and a taverna specialising in Cretan home cooking. 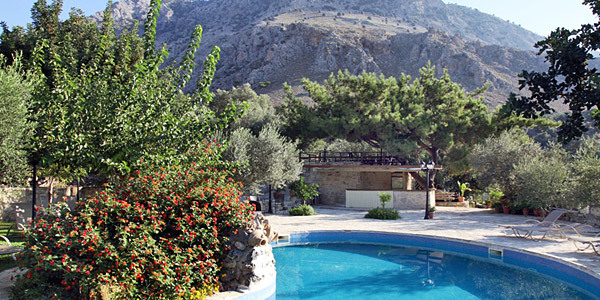 Eleonas is close to beaches and a lake, with farm animals to feed and horse riding nearby. A playground and playroom, a football pitch and table tennis are all available on site. 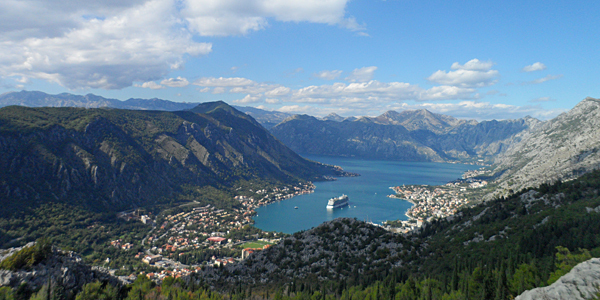 Montenegro is very much a destination still on the up, and many have yet to discover the delights of Kotor Bay – a deep inlet on the Adriatic, whose shores stretch for 100km. Base yourself at this waterfront palazzo, which reopens for Easter after its winter break. It offers an Easter-egg hunt for the kids, along with a bottle of wine and Easter cake for lunch in its alfresco restaurant (which also has a kids’ menu). Outdoorsy families will love the area with its national parks and soaring views. 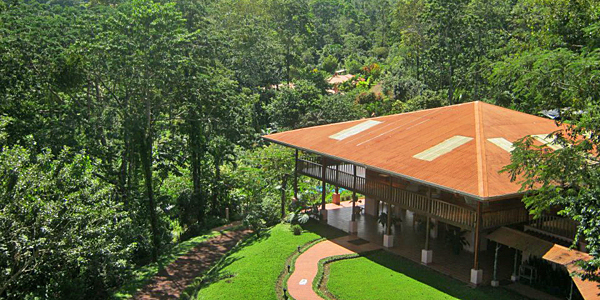 Holidaying on a biodynamic farm near a volcano, in primary rainforest, is certain to excite everyone in the family. This lovely lodge also provides a great educational insight into the local ecosystem, plus wonderful organic food, a spring-water swimming pool, a solar-heated hot tub, farm animals to pet, and guided jungle treks. 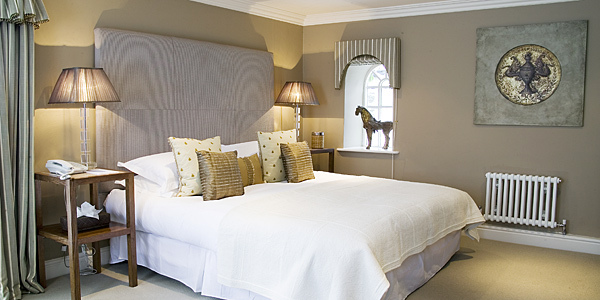 This Easter it’s also offering 10% off its rates when booking through i-escape. 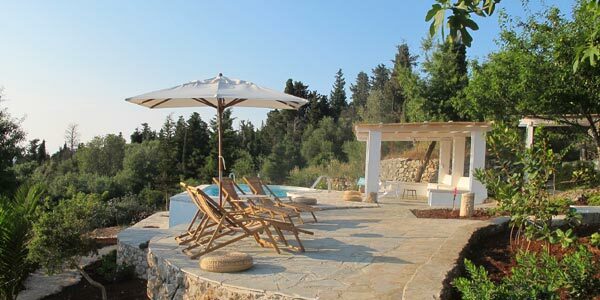 The Ionian Islands are synonymous with romance yet also work brilliantly for a family holiday. One of our favourites is Kefalonia, which has wonderful mountain scenery, a gorgeous coastline, unspoilt beaches, and tranquil olive and cypress groves. Close to a quiet hamlet in the north of the island, in terraced gardens with a swimming pool, this pair of self-catering cottages has been beautifully restored, with smart modern kitchens. They sleep 2-4 and 4-6, with a 10% discount for bookings through April and May, so take both for an extended family holiday. 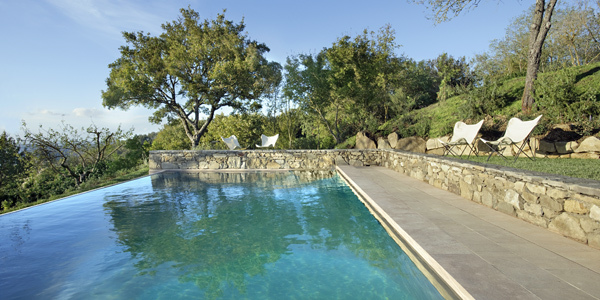 This medieval hamlet in the heart of rural Tuscany has been meticulously restored into a gorgeous hotel with a great restaurant and a trio of stylish villas with full kitchens (sleeping 4-12 apiece). It caters for romantics and families alike, and over Easter there’s a big brunch plus an egg hunt for the kids. While here you can also roam the gardens, cycle local lanes, and explore authentic markets and villages nearby. Although it’s not the cheapest place to stay in the region, the prices reflect the quality of the restoration and kids stay for free. Quirky is the term most used to describe this cluster of playful dome-shaped beach shacks, set in fairy-lit coconut-palm gardens just back from the silky white strand of Ashvem Beach. 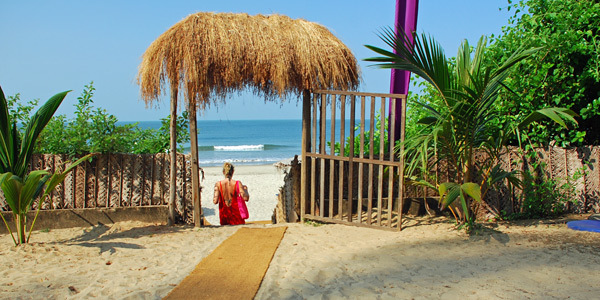 We love it for its great-value accommodation, easy-going peace, organic breakfasts and paddling pools, and the yoga shala next to the beach. This Easter all i-escape guests will receive a free bottle of wine AND a free private 90-minute yoga class with resident instructor Kristyn per booking (kids can join in, too). Yum indeed! 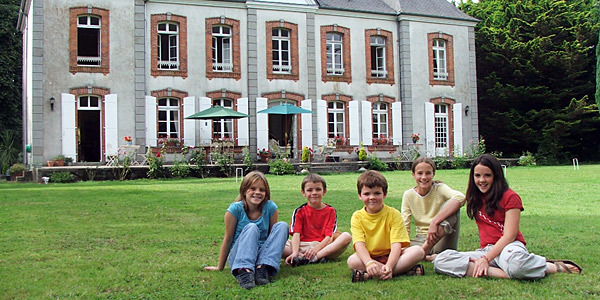 The big draw of this 19th-century chateau, apart from its spacious 2-bedroom suites and idyllic grounds, is the house-party atmosphere which makes all families feel instantly at home. Owner Jon has set it all up to be effortless fun, with convivial evening feasts and separate kids’ suppers at 5pm, plus a woodland den, a sandpit, swings and a communal library. For Easter there’s a daily egg hunt, as well as Bucks Fizz breakfasts for adults. Just 13km outside the medina is this unique and colourful haven, consisting of chic rooms, a working mini-farm, and wonderful landscaped grounds which include a treehouse, an old yellow Mercedes and a volleyball court. During school holidays there are specialised kids’ workshops themed around cooking and local culture, too. Book now for a great 25% discount on the ‘Family Escape’ package.